German airline operator, Lufthansa, has halted all flights to the Eritrean capital, Asmara, until a new air traffic agreement between Germany and Eritrea is signed. A spokesman for the airline said all flight reservations to Asmara were cancelled last weekend and rebooked on partner airline Egypt air. Eritrean officials are yet to release any official comments on the matter. This comes at a time when the troubled Eritrean Airlines is planning to seize operations on the 23rd of November 2013. The carrier has long suffered from incompetence and interference from the government. 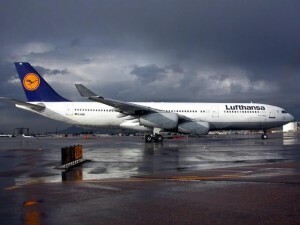 Before the cancellation, Lufthansa was flying to Asmara three times weekly despite the absence of an aviation agreement. Lufthansa is however expected to resume flights to Asmara in a few weeks. Lufthansa will also be dropping two other African destinations – Libreville in Gabon and Pointe Noire in the Congo Republic – in December, because they are not profitable. Dear All,Lufthansa said it has not for the most part quit flying to Asmara however is anticipating the consenting to of another arrangement between the Eritrean and German Government,then flights will proceed once more.Good day.